In Day 12 on April 12, 2017, I wrote about how we got the Cushing’s colors of blue and yellow. This post is going to be about the first Cushing’s ribbons. I was on vacation in September 2001 when SuziQ called me to let me know that we had had our first Cushie casualty (that we knew about). 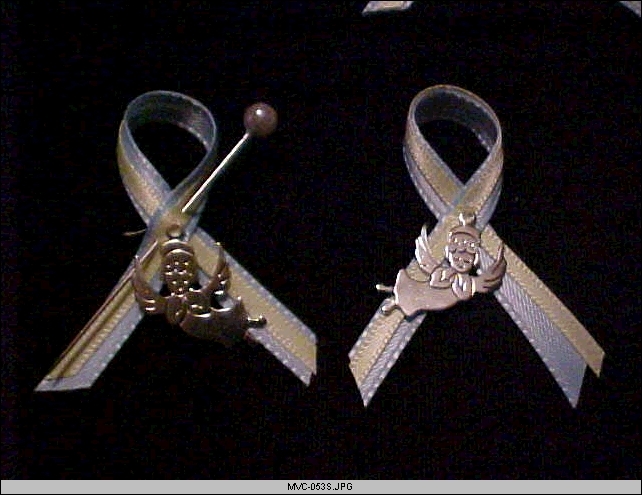 The image at the top of the page shows the first blue and yellow ribbon which were worn at Janice’s funeral. When we had our “official ribbons” made, we sent several to Janice’s family. Janice was the first of us to die but there have been more, way too many more, over the years. I’ll write a bit more about that on Day 21.